The Akiles DuoMac-C21 is a versatile and user-friendly binding solution for both plastic comb binding and 2:1 twin loop wire binding. The DuoMac-C21 incorporates a manual comb punch, a manual 2:1 wire punch, a comb opener and a wire closer all into custom-built heavy duty unit. It features disengageable pins, two independent punching die sets, a depth margin control, an open punch throat, continuous punching guide, a spacious waste drawer, a side margin control and coil crimpers. The DuoMac-C21 can punch up to 20 sheets of 20lb paper with a max length of 14". These features along with its rugged build make the DuoMac-C21 an ideal binding solution for binderies, print shops, copy centers and more! 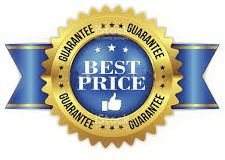 WIth our Low Price Guaranty nobody saves your more money on quality lamianting and binding products than Laminator.com.